When on your walk, you should be looking for signs of drainage issues: Water standing on the road, trapped water running down the road forming ruts, and water pooling in the uphill road ditch all indicate drainage issues that may leader to bigger more damaging (more expensive) problems. Pay special attention to any stream crossings you may have. Here the drainage issues mentioned above can lead to environmental damage if water from the road system flows unfiltered directly into the stream. Roads are a critical source of sediment, which can be very damaging to fish and other things living in the stream. It is important to find and fix such situations. Be sure to get off the road at the stream crossing and take a look at the culvert below. After all, the crossing is not just a place for you to get over the stream easily, it is the place for the stream to get under the road. It must allow surges of water through and also fish and other stream residents to move back and forth as well. Check on the condition of the culvert, if it is deteriorating, clogging or hanging above the stream on the downhill side, those are signs that the culvert may not be functioning well. Other common problems, such as being too small, may not be so obvious to look at, but can be determined with help. Happily, there are resources available. Chapter 6 of Oregon’s Forest Protection Laws: an illustrated manual (third edition) published by OFRI and Managing Woodland Roads: a field guide PNW 641 a Pacific Northwest Extension Publication, are well-explained and well-illustrated publications covering the roads basics. 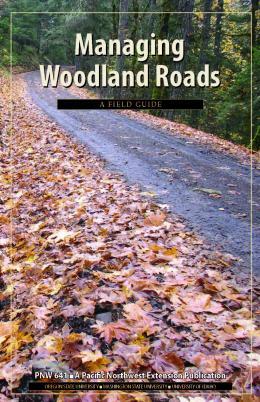 Getting out with experts and other landowners is a great way learn to recognize issues and get up to speed on roads. 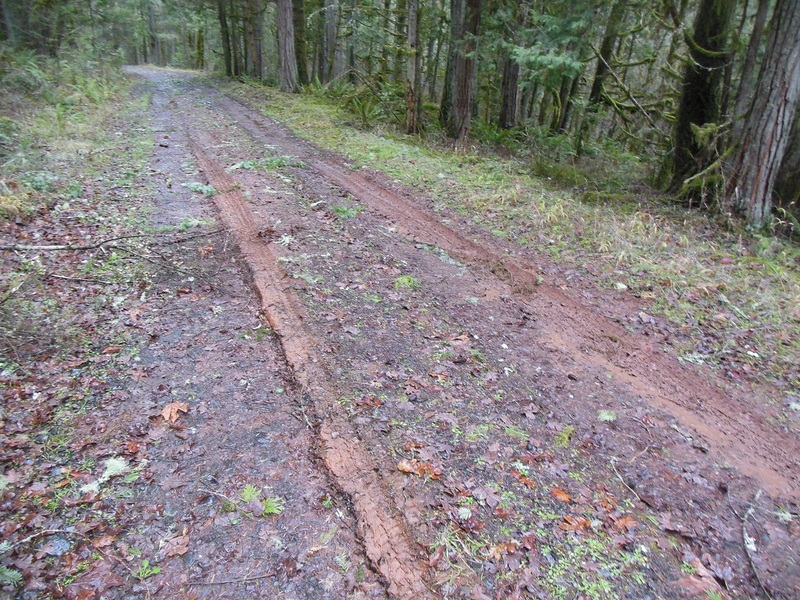 OSU Forestry and Natural Resources Extension is offering a series of workshop across the state on effective forest roads management, with several ahead in Linn County (March 16), Northeast Oregon (April), Clackamas County (October) and Lane County (November). 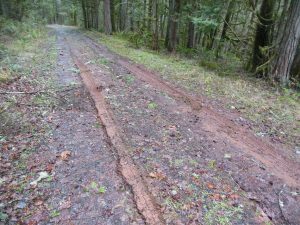 This workshop will help you better understand roads, including when and how to work with agencies such as the Oregon Department of Forestry, or local watershed councils if you need assistance in identifying and fixing problems you have.